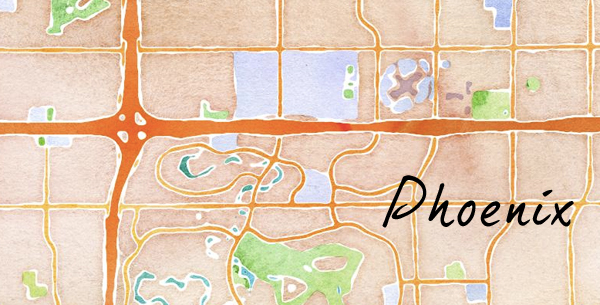 DIY Watercolor of your Neighborhood! I was gazing on Pinterest this morning and came across one of the coolest things I've seen in a while! 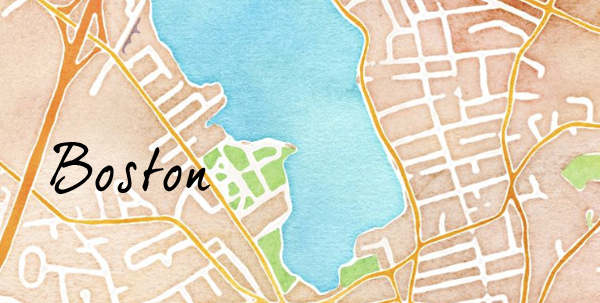 What you can do on this website, maps.stamen.com, is enter in any street address and it will auto populate it and transform it into watercolor in seconds! Soooo cool, right? Here are our maps for our AZ and MA neighborhoods! I love it! What do you think? Will you do this for your neighborhood? That's actually really rad! Thanks for sharing! Just a note, the hyperlink you have is correct, but the directions state the URL with www at the beginning which is not needed/correct. This is so very cool! Anne, I thought it was too! Glad you stopped by! I can almost just use the one from your Boston Neighborhood! Haha you could! You're only like 1-2 streets away from where I grabbed this! Yes. I'm going to do it. What a fab idea. So cute, too. Aww, thanks Lori! Glad you're going to do it! Hi Cathy. I've never seen this before but what a great idea. Can't wait to try it. Thanks so much for linking up at Thriving on Thursday. I'll be featuring this at tomorrow's party. How exciting! Thank you so much for featuring us--I will be sure to check it out. Oh, I love it! This would make the best housewarming gift! Aww thank you so much, Leah! I think that would be a FAB housewarming gift! I went on the site and couldn't find this. Everything was for purchase and didn't see anything with watercolor. Have they changed the site or am I just missing something? Just realized that I was clicking on the link in the step by step directions and that goes to another place. The link in the first paragraph takes you to the watercolor part. Thanks for sharing!